Soft polypropylene. Suitable for indoor or outdoor use. 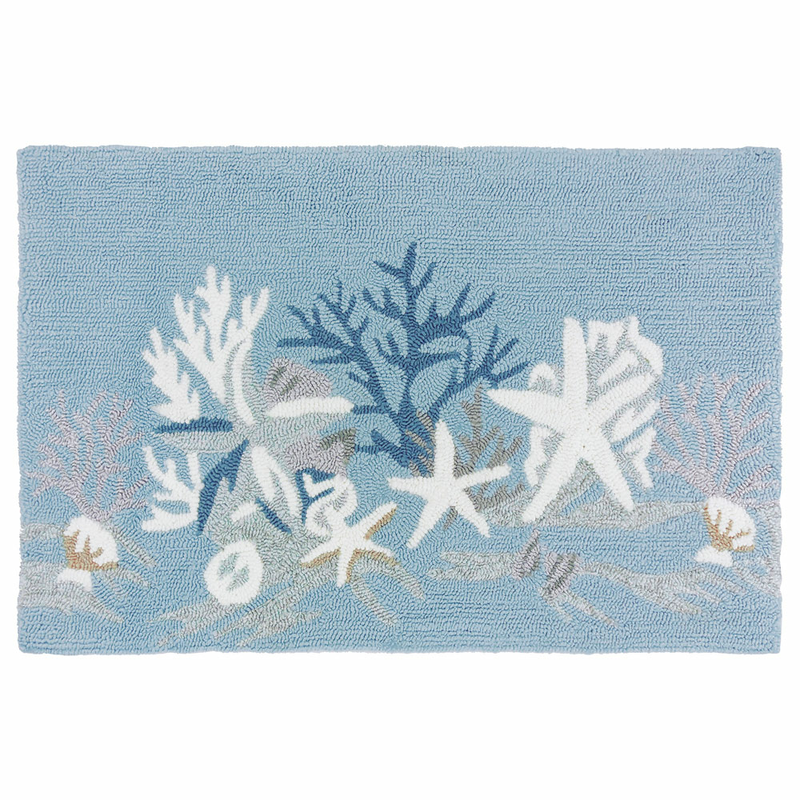 Hose or Spot clean these nautical area rugs.. 1'10"W x 2'10"L. Ships from the manufacturer. Allow 1 week. Cannot express ship. For more options, we invite you to spend some time to peruse our extensive assortment of coastal area rugs at Bella Coastal Decor now.